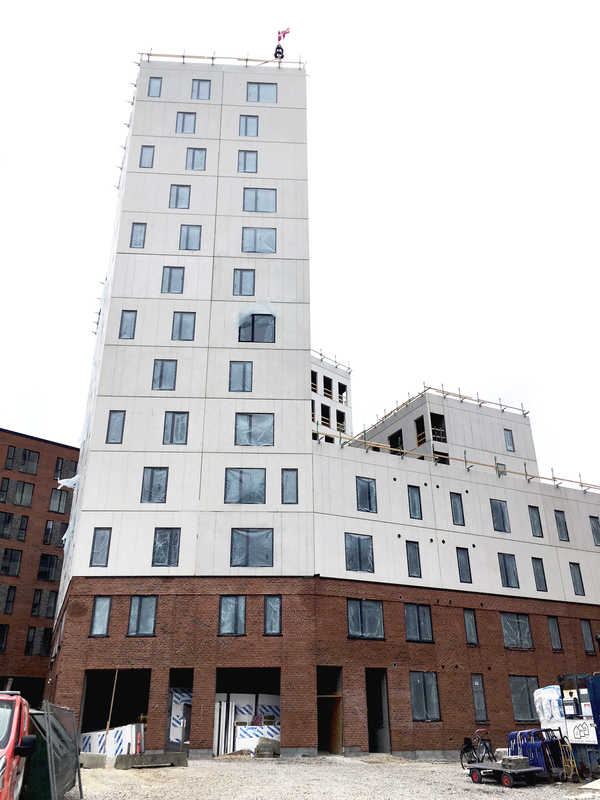 The final elements of the construction have just been completed at our housing project E3 in Østre Havn, Aalborg. This included a topping out ceremony right after Easter, where the project’s stakeholders and collaborators were invited to take part in the celebration. On E3, as well as the whole area of Østre Havn, sustainability is the focus. At E3, this is especially expressed by the building’s design, which has been created to give the best daylighting conditions in all apartments. You can read more about the housing project E3 here.